Flocked division channel - two 3' strips. 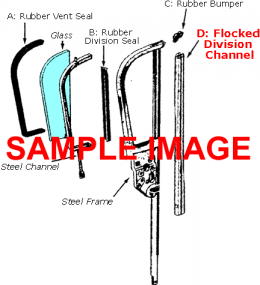 These seals go on the back side of the front or rear door vent window frame to accept the door glass. Free samples are available.